A week of Buddhist celebrations to acknowledge the capital city’s millennial anniversary began at the Thang Long Citadel on July 28. Most Venerable Thich Thien Nhon, Deputy Chairman and General Secretary of Vietnam’s Buddhist Sangha’s Executive Council, delivered the opening speech, confirming the role played by Vietnamese Buddhists in the country’s history of national construction and defense. 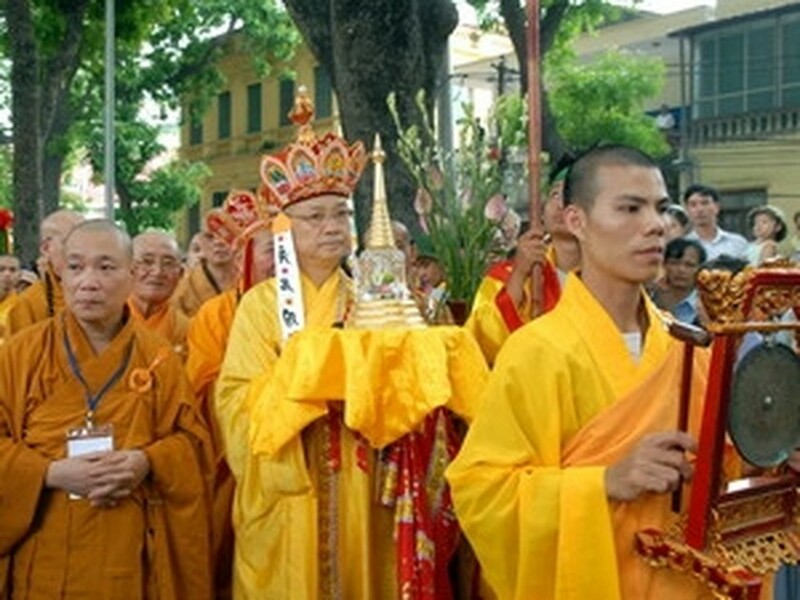 A ceremony to burn incense for King Ly Thai To, the founder of Hanoi, and Kings and monks through ages was also held. Present at the opening ceremony were Most Venerable Thich Pho Tue, the Patriarch of the Sangha Council of the Vietnam Buddhist Sangha, numerous Buddhist dignitaries and followers, as well as officials from the Foreign Ministry and city authorities. On the occasion, the Central Committee of Vietnam’s Buddhist Sangha presented 25 charity houses to disadvantaged families and 500 scholarships to poor students in Hanoi. The week, which lasts until August 2, includes a procession of tablets that belonged to King Ly Thai To and Van Hanh, a Buddhist monk who raised the King after his mother had died giving birth and Buddha’s sari from the Quan Su Pagoda, to the Thang Long Citadel. A ceremony will also be held at the citadel on July 29 to pray for peace and the people as well as a requiem for fallen combatants on July 31. An exhibition showcasing ancient Buddhist artifacts and works of art, a seminar on Buddhism and the capital city, a night festival with garlands of flowers and colored lanterns and a theatrical performance themed “Imprints of Thang Long” will also take place.